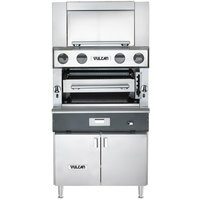 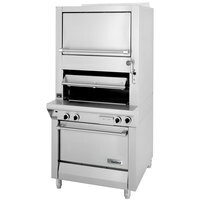 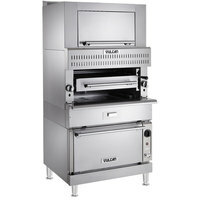 A commercial upright broiler can help you achieve succulent steaks, savory vegetables, and other entrees finished to golden-brown perfection. 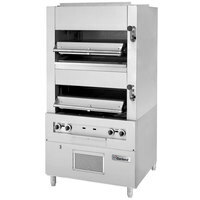 Great for large steakhouses, burger joints, or restaurants that specialize in hearty fare, a commercial broiler will bring consistent results by searing foods to their proper internal temperatures. 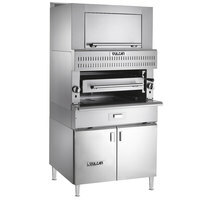 Some of the broiler units provide superior cooking thanks to infrared burners that cook food, while still preserving the natural juices. 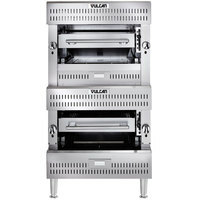 Upright broilers deliver a perfectly-cooked product every time. 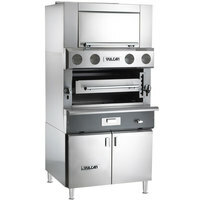 Choose from infrared and ceramic commercial broilers with features that include finishing ovens, standard ovens, and storage bases. 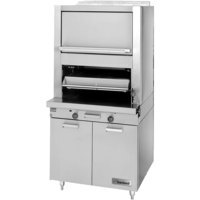 Our commercial broilers come in models with wide-ranging heating units for your biggest cooking tasks, and wholesale pricing and selection provide an ample range of options.